BeerTrips.com has partnered with Pints for Prostates to offer the beer-lover’s dream trip to popular ‘beer capitals’ throughout Europe. 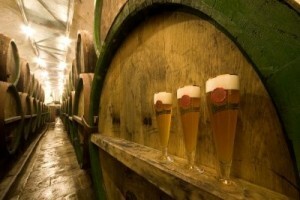 BeerTrips.com, has been providing unique beer travel experiences to European and North American destinations since 1998. They have now put together a special trip from Sept. 9-19, 2011 to the Czech Republic and Germany that will benefit the Pints for Prostates campaign. The nine night beer lover’s dream trip includes brewery tours, escorted pub crawls, guided city tours, special meals and more in Prague, Bamberg and Munich. The trip will include special tours of famous breweries along the way, such as Pilsner Urquelle, and the Andechs Monastery Brewery in Germany. And best of all, the tour will arrive in Munich in time to enjoy Oktoberfest 2011. “The Prague, Bamberg and Munich tour is one of the favorite itineraries that BeerTrips.com has offered over the years,” said Mike Saxton, founder of BeerTrips.com. The tour will be hosted by Pints for Prostates founder and beer journalist Rick Lyke. The total value of the trip for two is estimated at $7,500. The drawing will be held on July 31, 2011. Details on this trip can be found here. More information on Pints for Prostates is available here. Also find them on Facebook and Twitter (@pints4prostates). Read more about fine cuisine and travel dining at GoNOMAD.